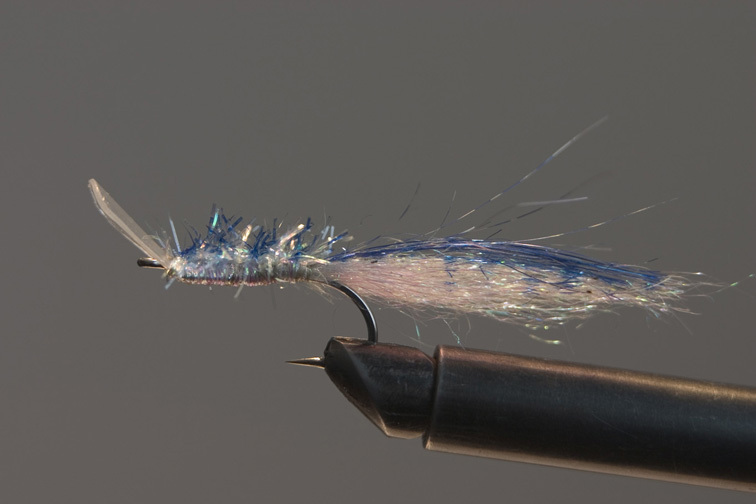 A small Wobbler-fly on a # 6 or 8 hook is a great fly to catch a silver char fresh from the sea — the fish which is still moving upstream. Such char is normally not interested in the flies, but a bright fly wiggling and vibrating near the bottom it is striking with greed. 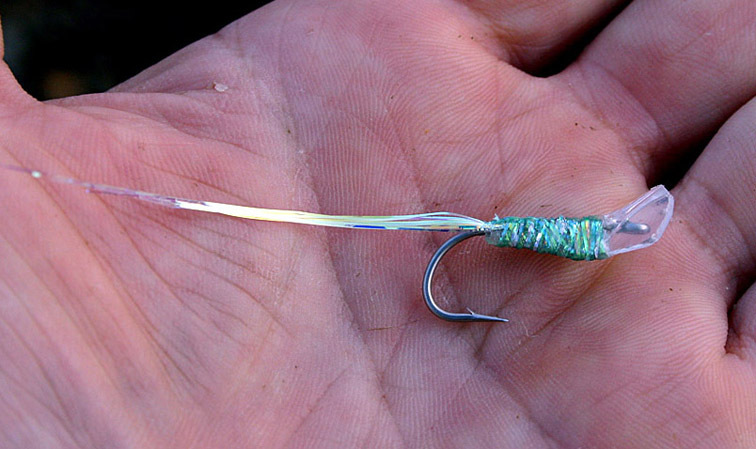 Pearl Anti-wobbler on a # 6 hook is catching the Amur River predators, especially skygazer and yellow-cheek. One more good variant of the Anti-wobbler. It is an imitation of the fingerlings of different silvery carps which are plentiful in the Amur. Several different Anti-wobblers. The light and dull flies are for the clear water, and the bright ones — for the floods. 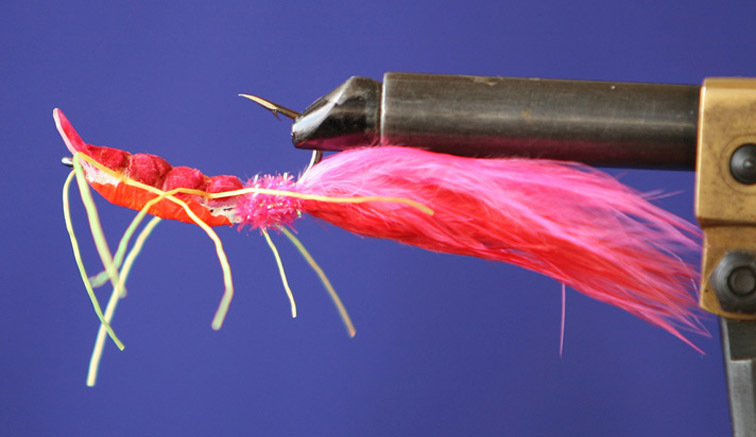 The flies with a foam back are also the best ones to use with a sinking line which goes on the bottom on the retrieve. This is a good way to catch the predators in the lowland rivers with sandy bottom. 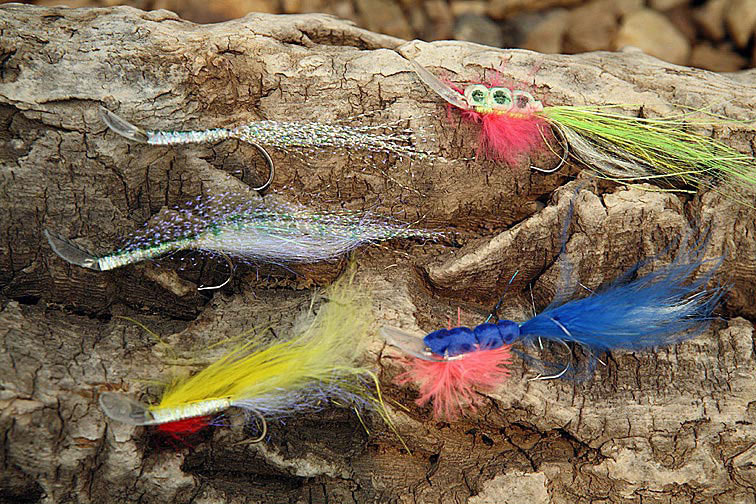 Wobbler-fly and Anti-wobbler differ only by the position of the blade, which determines their behavior on the retrieve. 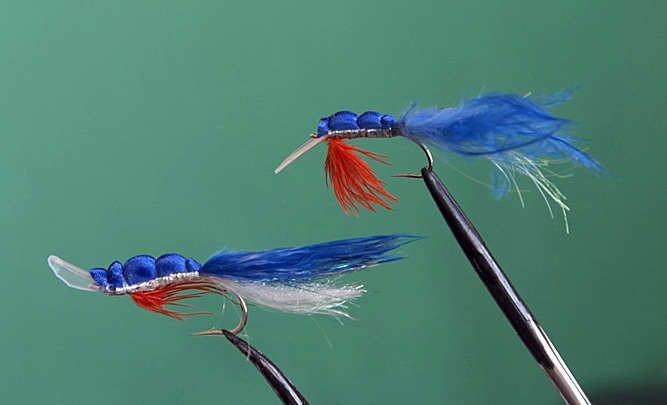 The Belly-Ups are easy-to-use flies which are catching fish even in hard situations. 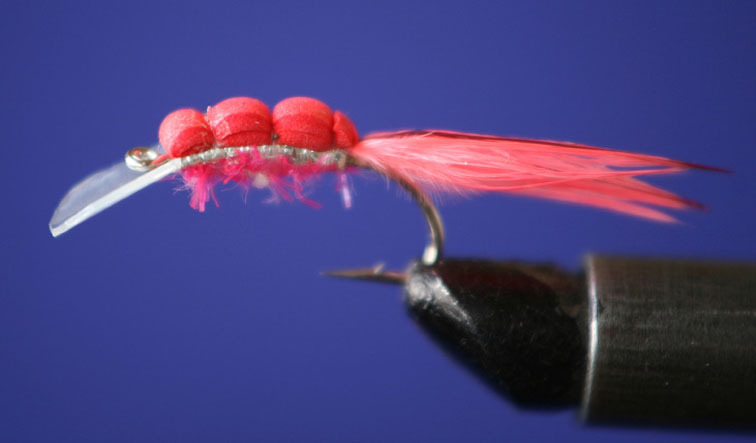 This type of the wobbler-flies was invented recently, only in 2010. The backs of their hooks are weighted with a strip of lead; on the retrieve they move with their blade and hook up. The pike fly named Centipede is one of the Belly-Ups. It was doing well during the floods, in the lakes, among the flooded weeds. I was catching pike, catfish, and snakehead with it. In swift streams the similar flies were catching also taimen.